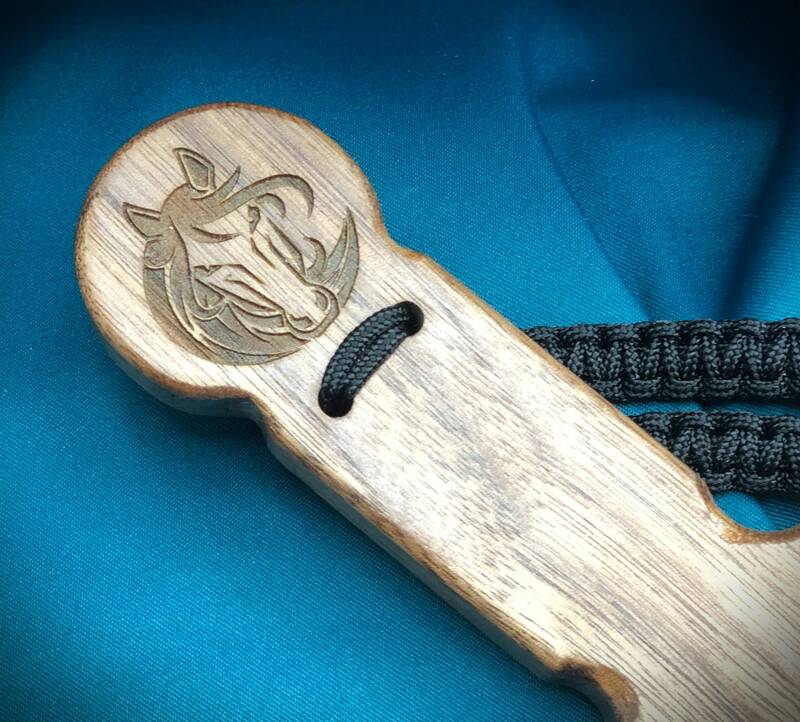 This gorgeous work of art paddle is made of walnut wood and engraved with a beautiful horse head. Quality half inch solid walnut. 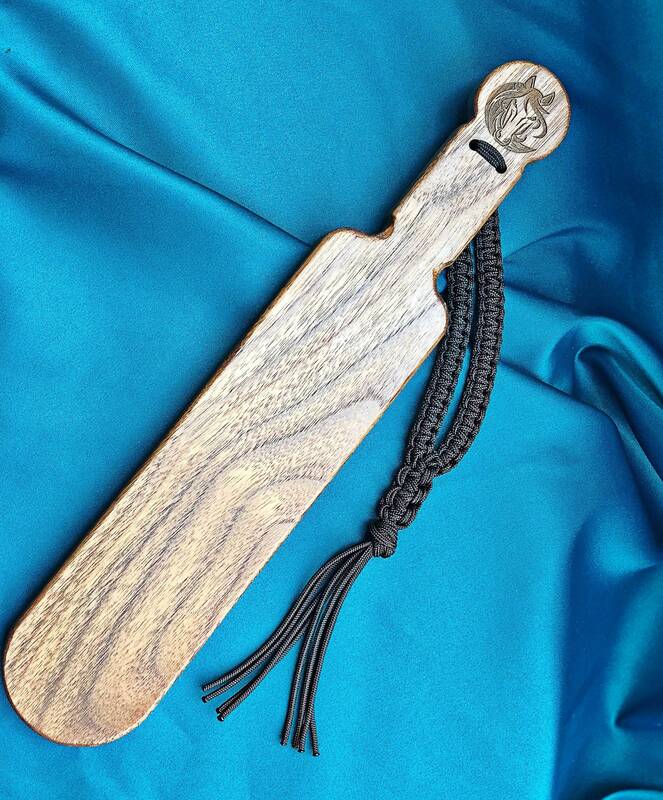 It measures 13 inches long fits easily in bag or purse. 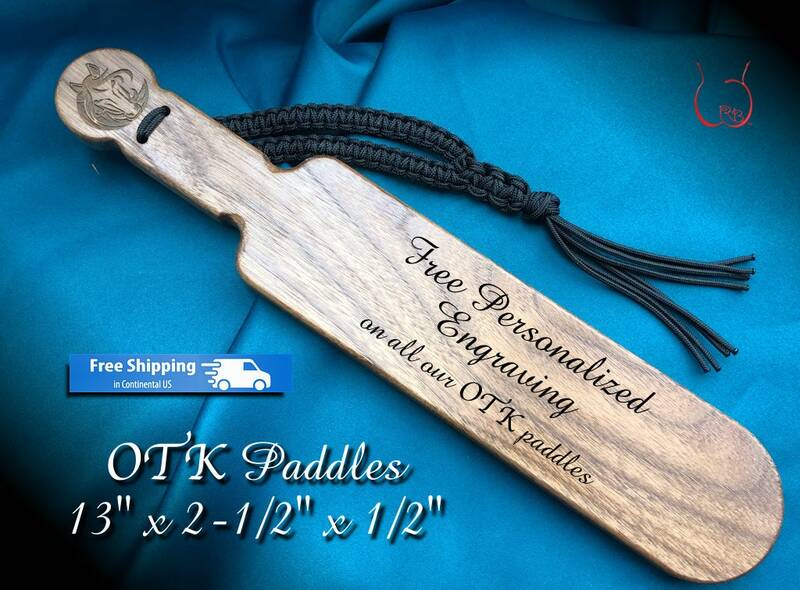 This is a perfect over the knee paddle. Good quality and beautifully made!